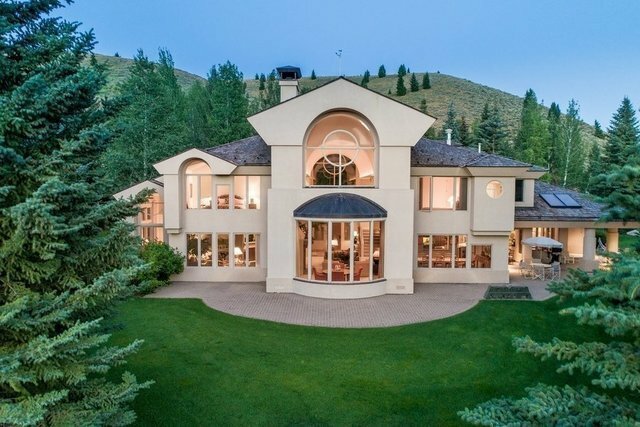 Barry Berkus, ranked among the top ten architects in the country, designed this immaculate home located in the desirable Bigwood Golf Course area. This spectacular property faces Bald Mountain; the views are unparalleled. . The open, modern, main floor living spaces feature a large chef’s kitchen with breakfast bar, office, dining room, and great room with plenty of natural light. The refined master bedroom wing includes his & hers closets and an exquisite master bath. The expansive patio is ideal for summer dinners while during the cooler months, the elegant built-in wet bar and large custom wine cellar create a gracious space for hosting events indoors. One of the most perfect homes in the valley, a true masterpiece.